No-churn ice cream is a must this summer! 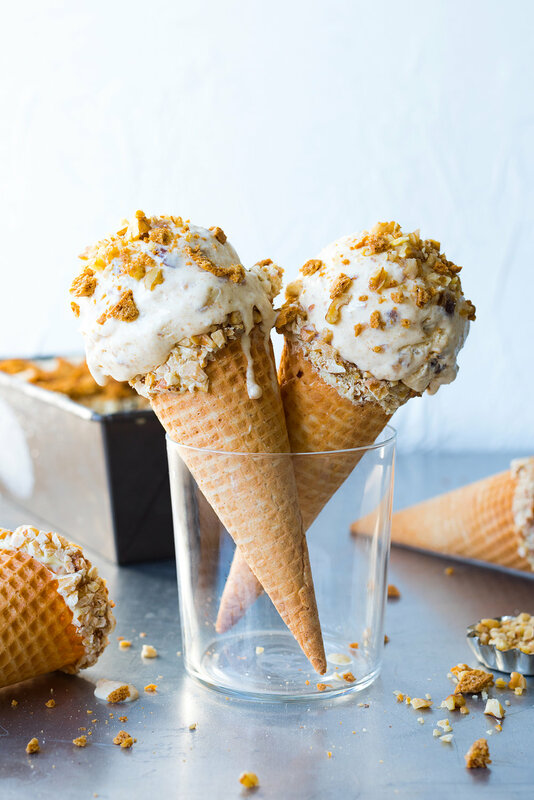 Rich and creamy rum ice cream dotted with chunks of chewy dates, crumbly ginger biscuits and walnuts. 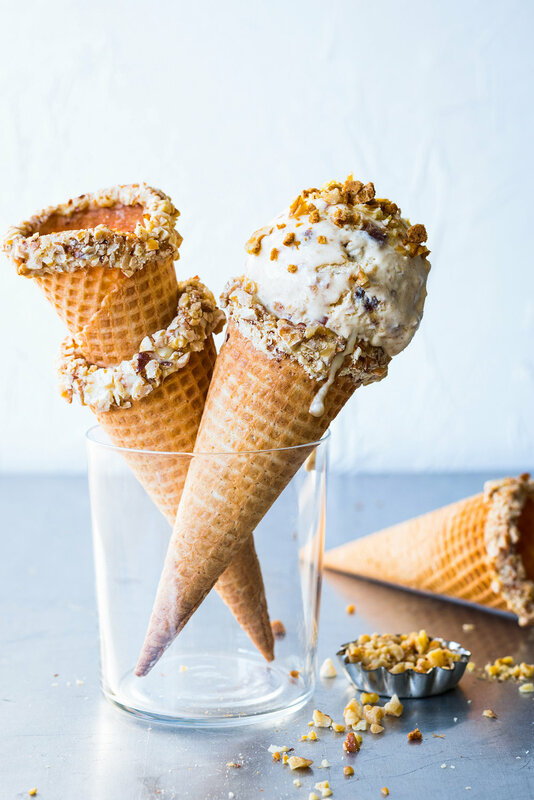 Delicious served in white chocolate and walnut dipped waffle cones. This post is in collaboration with the lovely folk at Fresh Life, using their delicious Medjool Dates and Californian Walnuts. Available from the baking aisle at Countdown stores nationwide. Heat the oven to 180ºC. Place walnuts on a baking tray and roast for 8 - 10 minutes. Once cool, roughly chop. In a food processor, crumble up ginger biscuits until crumbled but not yet powdered. Remove stones from dates and chop into small cubes. In a large bowl, beat cream until stiff peaks form. Add all remaining ingredients and gently fold through, be careful not to beat all the air out of the cream. Pour into a Tupperware container and freeze for 6 hours or overnight. Break the white chocolate into small pieces and place in a large heatproof bowl over a pot of simmering water. Make sure the water isn’t touching the base of the bowl. Stir until chocolate has completely melted, then remove from heat. Dip the waffle cones into the melted white chocolate then roll in chopped walnuts. Stand in glasses until chocolate has hardened. Serve the ice cream in the cones. Sprinkle the extra walnuts on top if desired.